So let's see.....we started the bathroom projects back in June. Yep. June. It all started with these lights. I hated them and one day I found a great deal at Costco and bought these new ones. 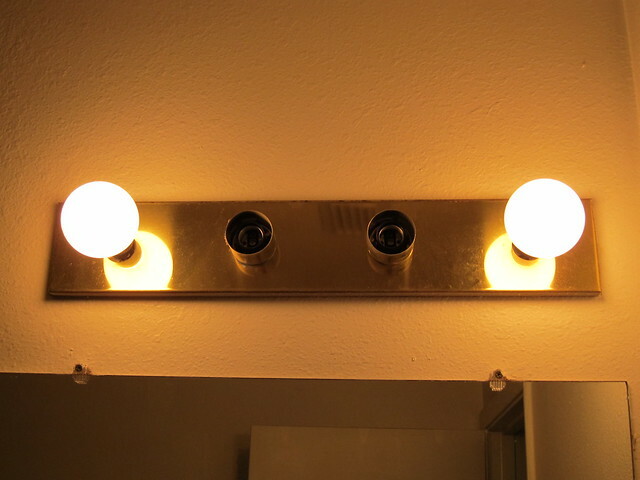 Do you know what happens when you get new fancy LED lights in your bathroom? Your husband suddenly realizes that the counter tops on the vanities are pink. He can't handle them being pink. 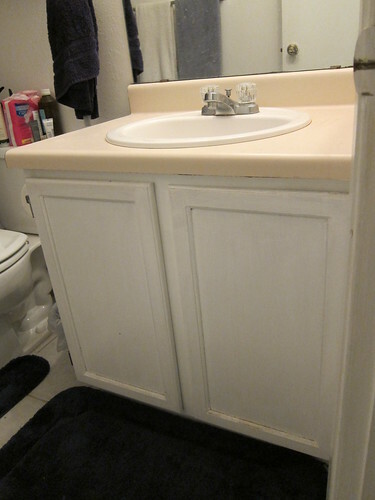 So you buy new vanities. 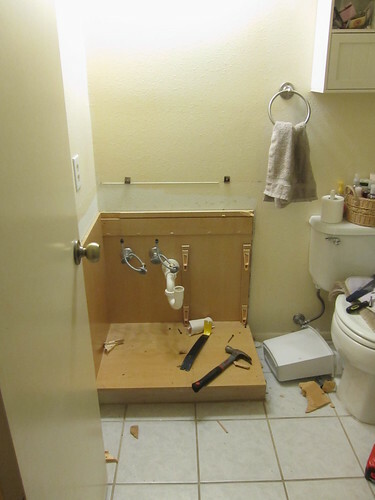 Only, the vanities aren't the same size as the previous ones so you have to tear up some tile. It's ok, because the previous owners of the house left extra tile in the garage. Except, that's the tile for the kitchen. Not the bathroom. Oh, and they don't make that tile anymore. You know, why would this be an easy process right? So then your husband tasks you with finding tile. Enter December. Yep. It's taken since June for you to decide on tile. See, everything is beige or dark stone and you want neither. Finally pressured by the fact that Christmas is about a week or so away and your entire family is coming over you finally get moving on the tile decision and pick a bluish, beigish, greyish looking tile. Then you fall over at the prices quoted to install it so you and your husband decide to test your marriage, during the stress of the holidays, by installing tile in a 30 sq ft space. 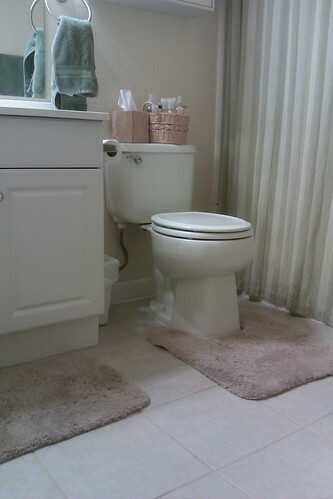 Somehow you both survive and nearly 7 months into the project you finally have a completed bathroom. Except you still have to tile the master bathroom floor. 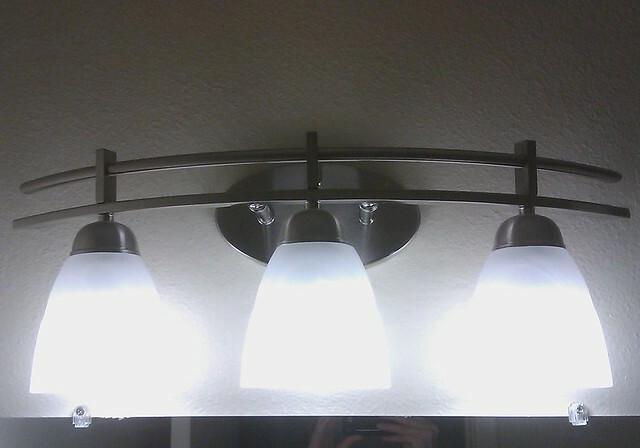 Love your new bathroom and lighting! Unfortunately, home projects always seem to take way longer and get way more complex and we originally thought. At least it's done now!